California has been hard hit in the Salmonella outbreak that is linked to recalled Evershing frozen shredded coconut. As of January 17, 2018, nine people are sick in that state, according to the CDC. This outbreak had an unusual start. Officials at the Massachusetts Department of Health were notified about at least one person who was sick with an unusual strain of Salmonella bacteria in November 2017. One of the patients ate an “Asian-style dessert drink” at a restaurant. We don’t know what the actual drink was; it could have been a smoothie, a cocktail, or blended ice cream. The drink was made with frozen shredded coconut. Early testing identified Salmonella Newport bacteria, which was related to an isolate taken from an ill person in Massachusetts. Public health officials then tested an unopened package of Evershing Coconut Tree Brand Frozen Shredded Coconut and found a strain of Salmonella that was brand new to the PulseNet database. That prompted a recall on January 3, 2018. Officials went back to the restaurant and collected more of that brand of frozen shredded coconut. They found the outbreak strain of Salmonella I 4,,12:b:- in one of the packages. In fact, lab tests found three strains of Salmonella: Javiana, Rissen, and Thompson. 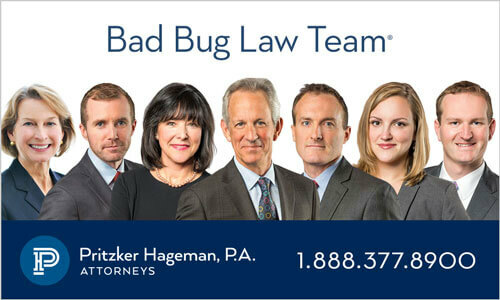 Attorney Ryan Osterholm said, “The long term complications of a Salmonella infection can be serious, including IBD and high blood pressure.” You can contact him at the renowned law firm Pritzker Hageman by calling 1-888-377-8900. The coconut was used in several restaurants, and it was sold in grocery stores and markets in several states: Ohio, Massachusetts, Washington, California, and Oklahoma with redistribution to Illinois, Michigan, New Jersey, New York Pennsylvania, Oregon, Florida, and Texas. All Coconut Tree Brand Frozen Shredded Coconut currently on the market is recalled. In total, 25 people in 9 states are sick in this outbreak. Six people have been hospitalized, and no deaths have been reported. We don’t know how many people in California have been hospitalized. It’s important to check your freezer to see if you have the recalled product. If you do, throw it away in a sealed package, or take it back to the sober where you bought it for a refund. This product has a long shelf life. Clean your freezer and refrigerator shelves, or wherever the product may have been stored, to kill any bacteria. The symptoms of a Salmonella infection include nausea, diarrhea, vomiting, abdominal cramps, and fever. 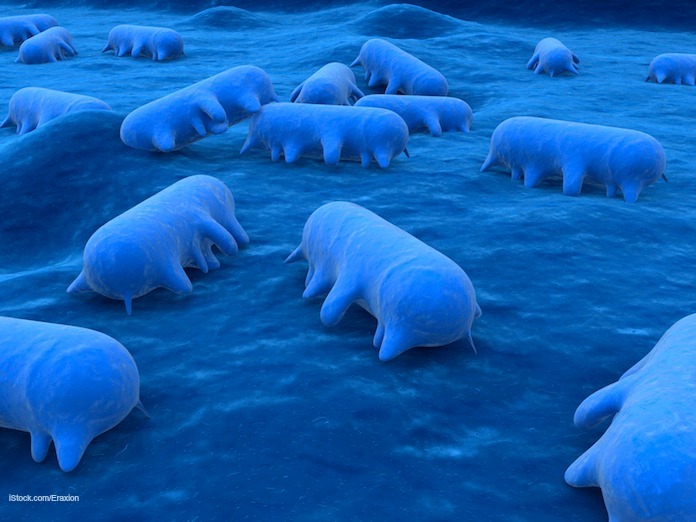 Most people get sick within 12 to 72 hours after eating food contaminated with this bacteria. If you have eaten shredded coconut and have experienced these symptoms, see your doctor. If you or a loved one have been sickened with a Salmonella infection after eating frozen shredded coconut, contact our experienced attorneys for help at 1-888-377-8900. 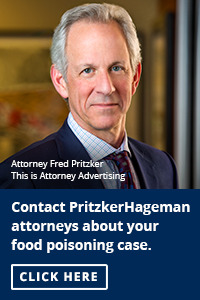 The Pritzker Hageman law firm helps people sickened by food contaminated with Salmonella and other pathogenic bacteria get justice, answers, and compensation. We protect our client’s legal rights. Our lawyers represent clients, and families of children in personal injury and wrongful death lawsuits against grocery stores, food producers, shippers, dairies, restaurants, retailers, and schools. 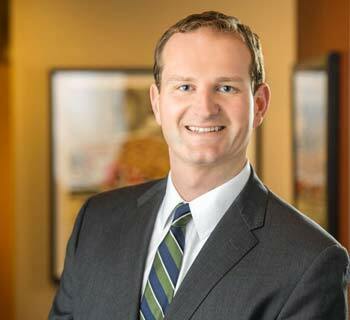 Attorney Fred Pritzker and his team recently won $7.5 million for young client whose kidneys failed after he developed hemolytic uremic syndrome after an E. coli infection.